Aurora A kinase (AurA) is a cell cycle-regulated, serine/threonine protein kinase. This member of the AUR family of kinases plays a critical role in cell cycle progression and associates with the centrosome and the spindle microtubules during mitosis. It also plays a critical role in various mitotic events, such as mitotic spindle establishment; centrosome duplication, separation, and maturation; chromosomal alignment; spindle assembly checkpoint; and cytokinesis. Interest in Aurora A has increased recently due to its overexpression and hyperactivation in a high percentage of tumors derived from breast, colon, ovary, and other tissues. Overexpression or amplification of Aurora A in culture drives transformation and aneuploidy and negatively regulates p53. Loss of Aurora A leads to defective mitotic spindles and gross errors in chromosome segregation resulting in an increase in the levels of chromosomal instability. 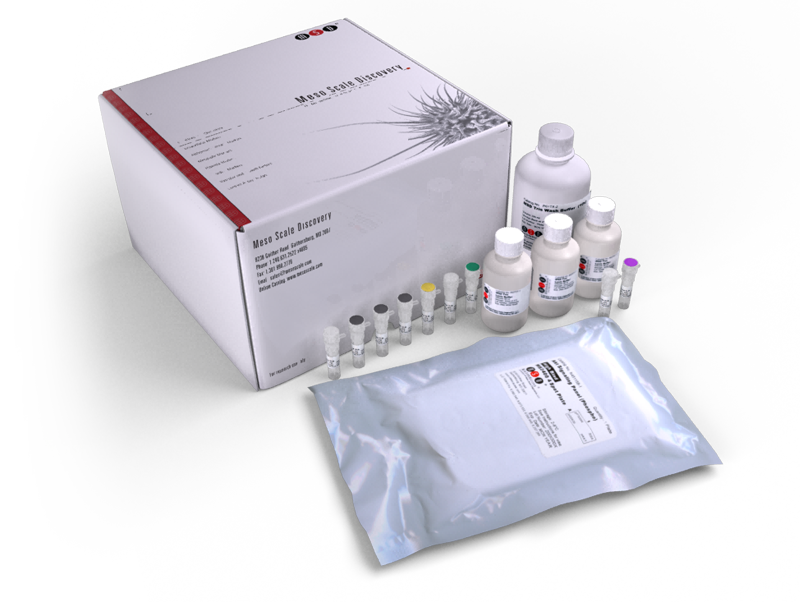 The Total Aurora A Kit provides the assay-specific components for the quantitative determination of endogenous total Aurora A in human cell lysates.